Projects range from planning stages to construction almost complete. This map lists them all, with county-specific details. Construction fund redirections made by the Governor and Legislature during the state’s fiscal crisis—and a decline in funds from reduced case filings and traffic amnesty—have dramatically cut funds available to replace substandard court facilities. The council’s action follows a recent facilities committee meeting where 16 local courts gave presentations on the current state of their inadequate and unsafe facilities in an effort to preserve their local “immediate and critical need” courthouse projects. The recommendations approved by the council today also call for its continued advocacy for the restoration of funding for these important and desperately-needed new courthouses. 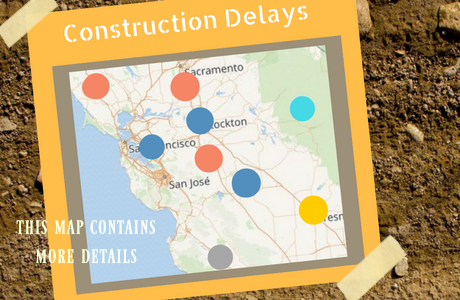 See the California Courts Newsroom for a map of the affected projects, video, and additional materials highlighting the need for new courthouses. Study Says Risk and Needs Assessments Work: The council received a report on the California Risk Assessment Pilot Project. The project explored how evidence-based practices, including the use of risk and needs assessment information, can reduce recidivism and improve public safety. The report found that the use of risk and needs assessment tools in the pilot counties served as a good predictor of future noncompliant behavior and can inform the courts and probation departments regarding the most effective supervision terms and conditions to improve outcomes for adult felony probationers. Numbers from Criminal Justice Realignment: The council received data collected from trial courts on the implementation of the 2011 [Criminal Justice] Realignment Legislation. Collected annually, the data helps the judicial branch determine each court's new workload due to realignment, as measured by the total petitions filed to revoke and/or modify postrelease community supervision and parole. The council’s actions and presentations from the first day of its two-day meeting on August 25 are highlighted on the California Courts Newsroom.